Jimiyo sample set. 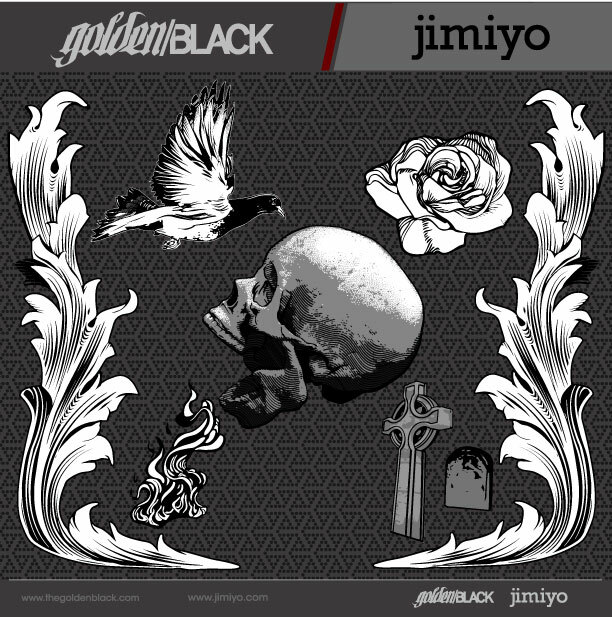 This is a set of 6 illustrations from Jimiyo’s 7 new vector sets. These sets include highly detailed vector illustrations of everything from skulls, horror and tattoo inspired illustrations to flourishes, flowers, birds and Asian inspired vectors. The License Agreement is simple. Free to use as desired and Royalty Free when used in projects. However no selling or redistributing is allowed.